After high fantasy grandes dames Marion Zimmer Bradley, Andre Norton and Julian May collaboratively created a quest saga on the magical World of the Three Moons with Black Trillium (1991), May carried on the series by herself (Blood Trillium, 1993). Now, in order to save that world, the series' three sister-heroines must battle the power-hungry Star Men in order to forge a mysterious Sceptre of Power from the supernatural talismans that are relics of the Vanished Ones who nearly destroyed the world. One of the sisters, Queen Anigel, pregnant with triplet princes and dismissing herself as the least courageous of the three Petals of the Black Trillium, has lost her talisman. A second, Kadiya, warrior Lady of the Eyes, wields an impotent sword despite her dashing bravado. And the third sister, Haramis, Archimage of the Land, finds the third talisman, The Wand of the Wings, key to unifying the Sceptre, threatened by her unwilling love for Orogastus, leader of the Star Men. May traces her characters' paths through the inevitable bog, battle, ambush and torture chamber. She cloaks their predictable travails in a colorful but unconvincing otherworldly atmosphere and allows her stereotypical supporting cast to clog the action with comic-book dialogue. Orogastus finally surrenders to Haramis not with a manly bang but with a whiny whimper, a dismal anticlimax to a series that sprouted so promisingly. Start reading Sky Trillium (The Saga of the Trillium Book 5) on your Kindle in under a minute. 5.0 out of 5 starsWrap-Up of "Trillium Saga" - very enjoyable, follows 'Black', and 'Blood' nicely! I am basing my rating on my personal enjoyment and perception of each story, and how well it fits with each of the other four books in the 'Trillium Saga'. I am also not basing my rating by comparing it to any other books written by each of the 3 authors Bradley, Norton, May). For this review/rating, I will not bump any stars off for bad service from Amazon/seller, or for any issues pertaining to the Publisher's presentations of these books. For the record, I think the cover artist and the interior maps illustrator did a great job! FYI: I have never read any other books by Bradley, Norton, or May - either before, or since the five Trilliums, so this is my only reading experience with them. I am outlining the chronology of the 5 novels below, because I have noted many people are somewhat confused or unaware of the series as a quintet, and some have asked what reading order, which book directly sequels this or that one, etc. I do not mean to throw any "spoilers" out here, so I apologize if anything I say is undesired. Thus, the Publishers and authors never "numbered" this Trillium Saga series. Functionally, I view it as the 'TRILLIUM TRILOGY' consisting of: 1] "Black", 2] "Blood", and 3] "Sky", with "Golden" and "Lady of..." being ancillary/companion pieces which can be read anywhere between the other 3, but most likely are best held until after Black/Blood/Sky. 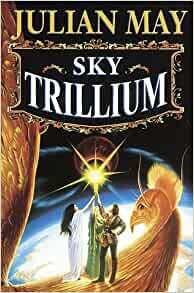 My pet-peeve is that "Sky Trillium" was released by a different publisher, and so does no have the same cover artist or interior illustrator for the maps; it visually doesn't match the other four books. Also, "Sky" apparently is/was not ever available in the U.S. in hardcover anyway (only Trade PB and standard s/c). 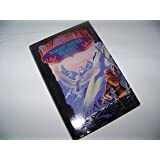 You can get the hardcover from sellers in UK or Australia, though it will not be the same cover artwork as the American Dell/Skylark paperback that you see in this item's photo. I had never read any of these author's prior to this Trillium Saga, and have not read any of their other works to this date. Obviously I was well-aware of "Mists of Avalon" and went into the series with a preconceived high regard for these authors, based on their respective reputations. I personally enjoyed Julian May's story-telling the most. I read Black, Blood, and Sky with enjoyment and enthusiasm, while I read 'Golden' and 'Lady of...' more out of curiosity and deference to Bradley/Norton's efforts. Overall assessment: By all means read this whole series!! If you only like Norton or Bradley, then just read their solo Trillium volumes; if you are wanting an epic, whole world, ensemble cast, adventure/fantasy, then start with Blood/Black/Sky. In my opinion this was a very enjoyable and worthwhile read. I thought Julian May did a great job of developing Anigel and Kadiya, and I was pleased that she chose to follow up the plots of Blood Trillium and Black Trillium--that she focused on the three princesses. (I was quite disapointed when Marion Zimmer Bradley's book turned out to have hardly anything to do with Haramis herself, and was all about her successor instead.) Julian May also added a lot of depth to the history of the World of the Three Moons--the mysteries of the Vanished Ones and the creation of the Star Guild were finally explained. My one and only complaint about this book has a name: Orogastus. It's just . . . how many times can you reasonably bring back the dead villain, come to haunt the sisters yet again? Oh, well. Since I was able to overlook that small fact, I really enjoyed the parts about Haramis and Orogastus and in fact I rather thought there should have been more about those two. I mean, the authors have gone to all the trouble of killing Orogastus (twice!!) and bringing him back (twice!! ), so they might as well do something useful with the gimmick. And it worked out pretty well in the end, with Haramis and Orogastus able to come to grips with their mutual but grudging love for one another. But somehow, I found their love affair more interesting in the previous books, when Orogastus was still the charming, dangerous bad guy, and when he still insisted to himself that his interests in Haramis were purely business-like . . . he had been a more convincing character that way. Now, it seems like all he ever does is walk around freely declaring his love, and somehow that deflates part of the tension of their relationship . . . I know, I know, the tension is supposed to come from the fact that they both love each other but are still enemies . . . but that doesn't work when he doesn't ACT like an enemy!! Um, wow, that was one heck of a complaint, but hey, at least they wind up together. Everything in the last couple of books has certainly been leading up to that. All in all I was pleased with this well-paced, satisfying story, and I really hope there will be a future installment in the series. This book is mostly well-written and has an involving storyline, but it just doesn't have that certain something that makes a book classic. Also, I was disappointed at how the relationship between Haramis and Orogastus was portrayed; there was a lot of potential for great writing there that was never realized. I'm hoping Black Trillium will be better, as it was the original Trillium book, written by three authors. are taken into one direction then totally blown away in another. you just find hard to put down. I love this book and would recommend it to anyone. The only disappointment of the book, is that Orogastus, turns from a bad guy into a good guy. I personally thought that this was highly unlikely. Otherwise, it is a great addiction to a great series. I am glad she wrote a new adventure about the three sisters (MZB wrote about a later time).